Image: Samir Hussein/Samir Hussein/WireImage/Getty Images. Prince Harry and Meghan Markle may not be expecting, but the royal couple’s family has apparently grown by one. According to People, the pair crossed off a major milestone in their relationship — they got a dog. 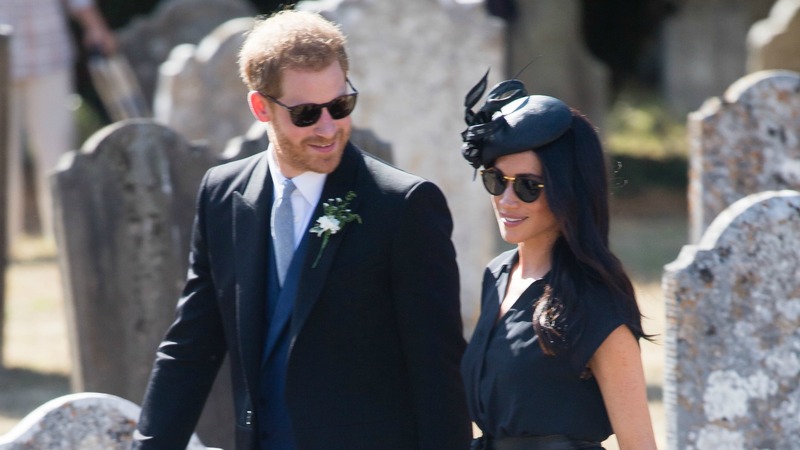 The new pup, which is thought to be a Labrador retriever, reportedly became a member of Markle and Harry’s home near the start of the summer. A source told People that the two have been bringing the undoubtedly pampered pooch along on trips to their country vacation home in the Cotswolds, and the dog has also been settling in at Kensington Palace’s Nottingham Cottage. Of course, the new dog isn’t Markle and Harry’s only canine companion. The latest four-legged family member joins Markle’s beagle, Guy. Prior to moving to London last year, she rehomed her other dog, Bogart, with close friends. Since then, Guy has been an only dog (until now, it would seem). The dogs may provide the Duke and Duchess of Sussex with a welcome distraction from the near-daily onslaught of family drama on Markle’s side. Since their May 19 nuptials, the couple has been subject to a persistent stream of rumors, accusations, insults and scandals coming from Meghan's father, Thomas Markle Sr., her half-sister, Samantha Grant, and her half-brother, Thomas Markle Jr. Meghan's half-siblings had been estranged from her for years prior to her royal engagement. The Markle family's derogatory remarks being made to the press include Thomas Sr. calling the royal family “cult-like,” Grant referring to Meghan as “Cruella Deville” and Thomas Jr. penning a letter to Harry in which he insisted Meghan wasn’t the “right woman” for the prince. For the most part, Harry and Meghan appear to be staying out of the fray by devoting their time to their royal responsibilities and spending time with famous friends like George and Amal Clooney. Bringing a dog home suggests a decision to live their best life and to remain unbothered by any lingering family drama.